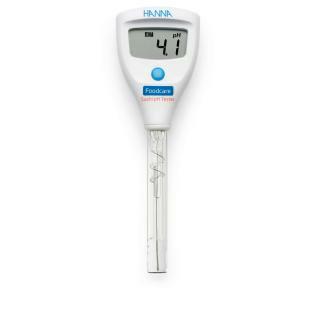 The HI-981035 with a specialised flat tipped pH electrode with a glass body is ideal for testing the pH of Sushi Fish. 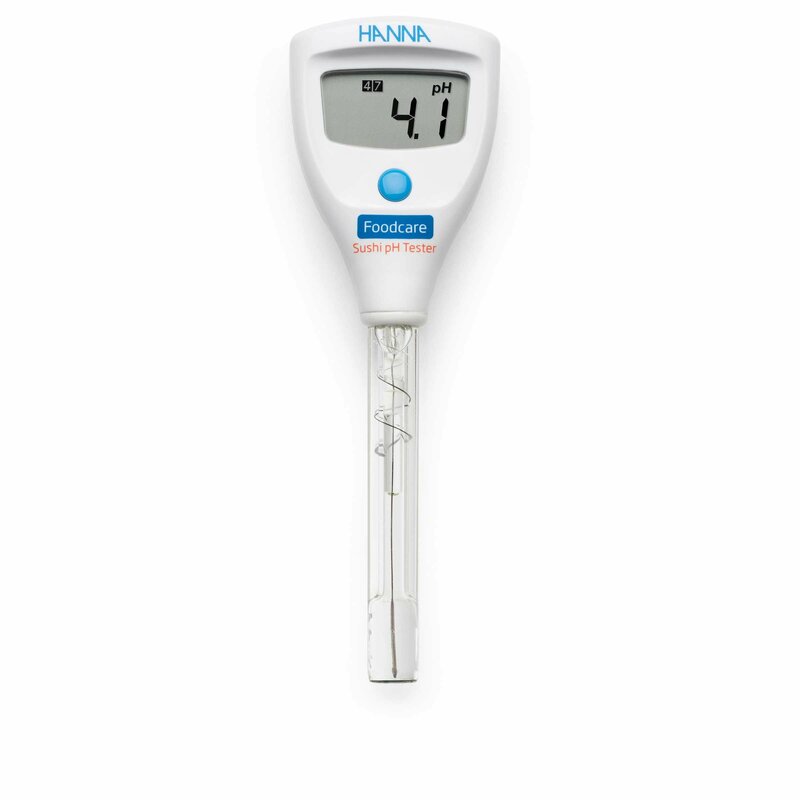 However, the HI-981032 pH Tester would be more practical for measuring pH in rice as it has a conic tipped electrode designed for pushing directly into food. With an easy to change battery facility, the HI-981035 has an approximate battery life of 1000 hours of continuous use and has an auto-off feature enabled after 8 minutes or 60 minutes. 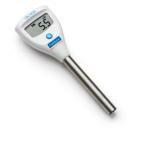 Featuring a liquid crystal display, the meter weighs in at 52g and measures 51 x 160 x 21mm. For best results, operate in 0 to 50°C, RH 95% max environment.